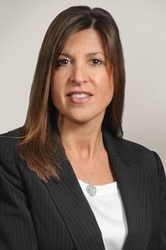 Suzanne M. Marasco is a partner in the Princeton and Red Bank, N.J. offices of Hill Wallack LLP where she is Chair of the Employment & Labor Law practice group. She is also a member of the Litigation Division, Trial & Insurance Defense, Insurance Coverage and Community Associations practice groups, and works part-time out of the firm's Red Bank, N.J. office. Ms. Marasco is a trial attorney who concentrates her practice in the representation of insurance companies and their insureds in diverse and complex claims and civil litigation. Her practice includes the defense of employers, management, businesses, and individuals for a wide variety of claims stemming from wrongful discharge, discrimination, harassment, breach of contract and violations of both state and federal civil rights and laws. She is also personal counsel for employers and other clients to whom she provides advice regarding employment, labor and contract related matters. She conducts internal investigations of work place complaints involving high level executives and company wide issues. She defends employers against union or disciplinary grievances, provides training regarding proper workplace conduct and prepares employment manuals, policies as well as severance, separation and employment agreements. Ms. Marasco is admitted to practice in New Jersey (1989) and before the United States District Court, District of New Jersey (1989) and the U.S. Court of Appeals for the Third Circuit (1989). Ms. Marasco clerked with the Monmouth County Prosecutor’s Office before entering private practice. She earned her J.D. from Rutgers Law School, Camden and her B.S. from Rutgers College, New Brunswick. She routinely appears in state and federal court, as well as before the Division of Civil Rights, the Equal Employment Opportunity Commission and various intercompany arbitration associations in the representation of her clients. Selected for inclusion in New Jersey Super Lawyers 2013 - 2018. The Super Lawyers list is issued by Thomson Reuters. A description of the selection methodology can be found here. No aspect of this advertisement has been approved by the Supreme Court of New Jersey. Contributing Author, The Statute of Limitations: Does It Really Protect Employers?